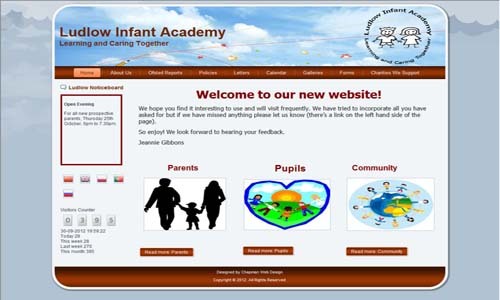 The Local Offer has this information in one place so you can make an informed choice on the support your child may need. 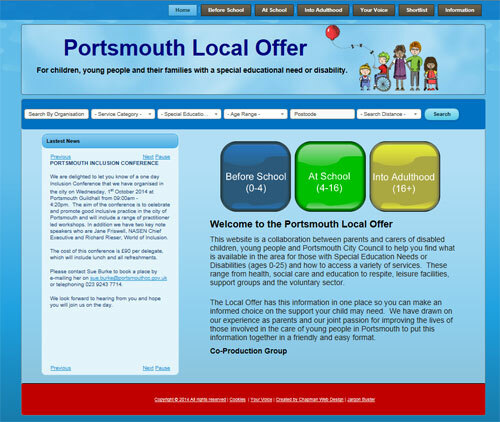 We have drawn on our experience as parents and our joint passion for improving the lives of those involved in the care of young people in Portsmouth to put this information together in a friendly and easy format. 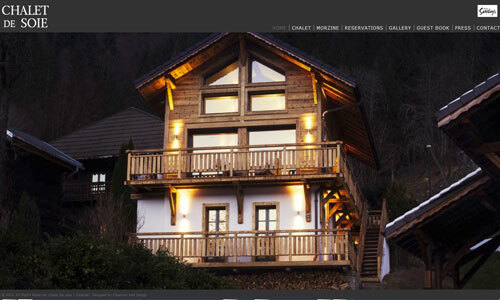 Chalet de Soie has been extensively renovated and modernised in 2013. Brand new throughout, this luxurious mountain retreat in Morzine has been expertly finished to the highest standard and utterly transformed from top to bottom. 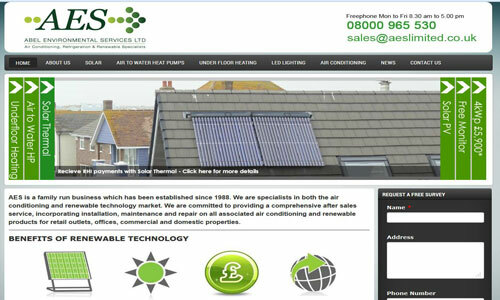 AES is a family run business which has been established since 1988. We are specialists in both the air conditioning and renewable technology market. We are committed to providing a comprehensive after sales service, incorporating installation, maintenance and repair on all associated air conditioning and renewable products for retail outlets, offices, commercial and domestic properties. Our Web Hosting packages are filled with useful features that will help you make the most of your domain name, along with unrivalled reliability and performance not possible by a regular web hosting package. Oakwood Academy of Dance is Chandlers Ford’s longest established dancing school, being established in 1963. We believe that every student is entitled to receive the very best tuition in a safe friendly environment for whatever reason they choose. Some students will be looking to establish dance as a career; either in performing or teaching and some will want to attend classes for recreation, fun and fitness. Whatever the reason all our students are treated with equal interest and enthusiasm. 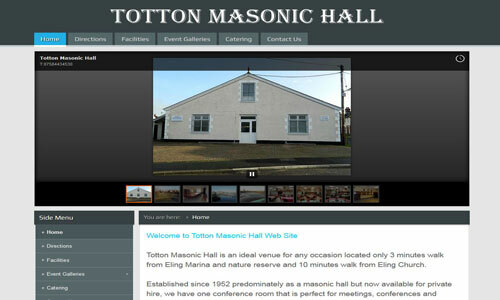 Totton Masonic Hall is an ideal venue for any occasion located only 3 minutes walk from Eling Marina and nature reserve and 10 minutes walk from Eling Church. 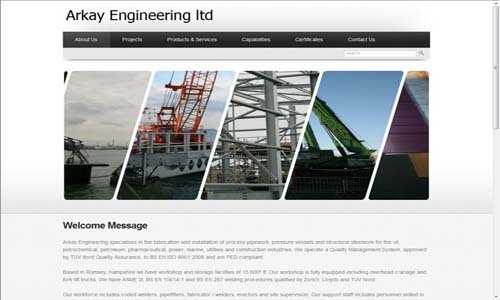 D&T Precision Engineering Limited offers a wide range of jig boring, manual large scale milling and turning catering for a vast number of engineering needs. We have a wide customer base providing custom precision engineered components to a vast range of industries world wide. 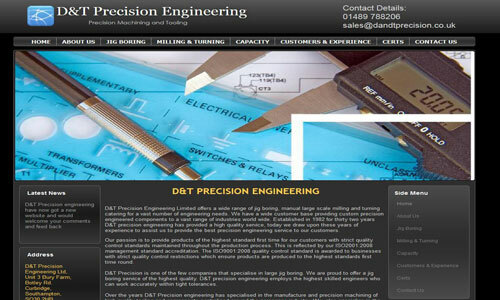 Established in 1982 for thirty two years D&T precision engineering has provided a high quality service, today we draw upon these years of experience to assist us to provide the best precision engineering service to our customers. 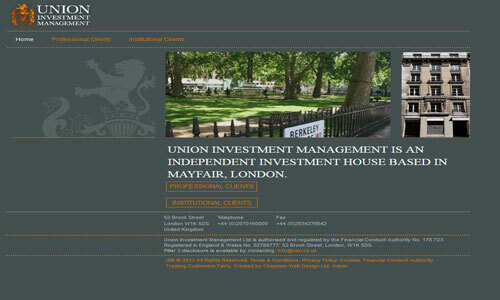 UNION INVESTMENT MANAGEMENT IS AN INDEPENDENT INVESTMENT HOUSE BASED IN MAYFAIR, LONDON. 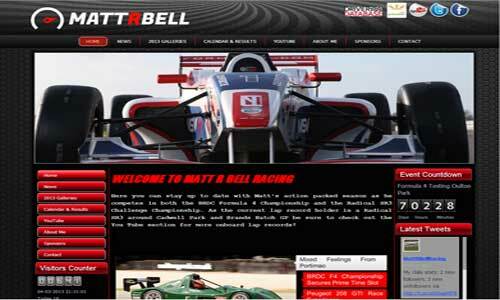 The work you see above is just some of the websites we have created. 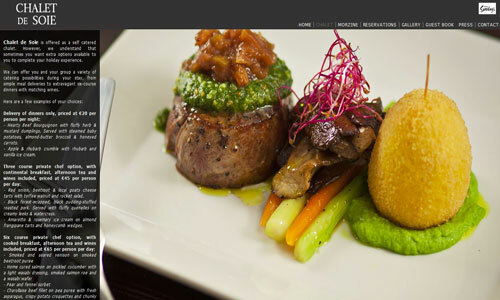 Most of the websites we develop are completed within 2 months. 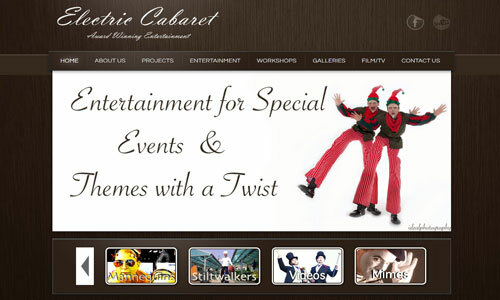 Websites that are not CMS or E-commerce can be completed more quickly if necessary. 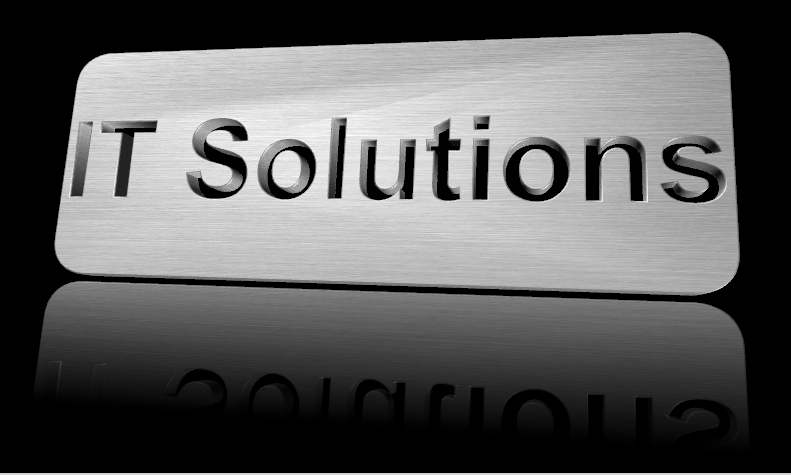 If you would like to find out more about our services, please don't hesitate to contact us.